Have you ever wanted to create a realistic hospital in your Minecraft world? well, now you can!. Introducing the Hospital Mod - Theatres Pack for Minecraft 1.12.2, this addition brings several realistic models into the game, allowing you to set up your own realistic operating room. 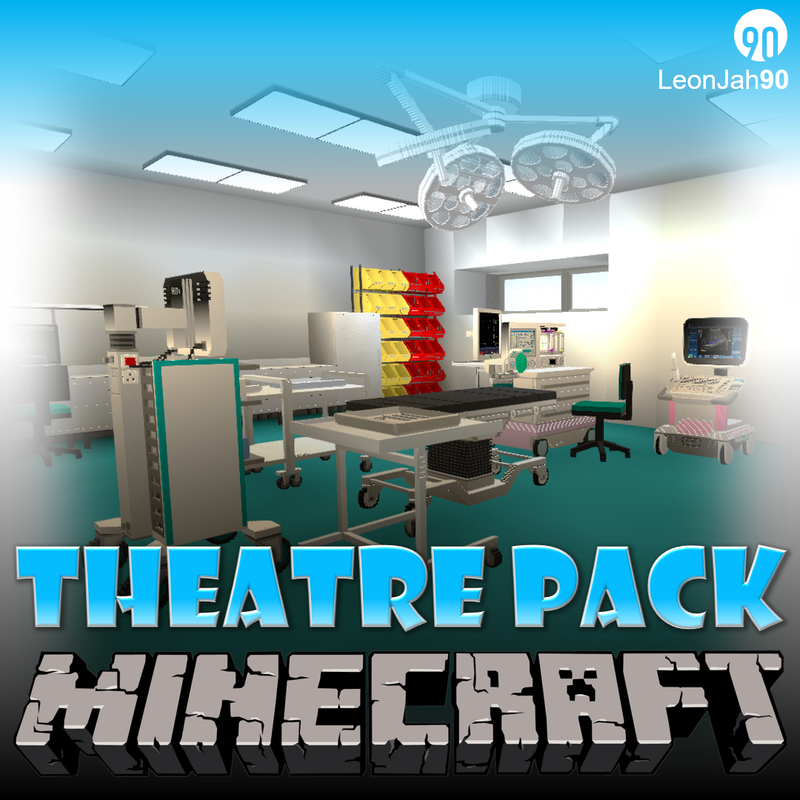 This pack is the first of many planned detailed hospital mods which overtime will enhance your Minecraft builds. None of the above are actually functional (apart from the surgical light) and are for cosmetic purposes only. Maybe over time (as I develop my coding skills) these may become functional. If you have issues adding this mod to your game, please make sure you have Minecraft Forge and the correct version of Minecraft, also make sure you have added the mod zip file into the mods folder. If your issue is unresolved, please contact for support. This mod has been developed by myself (Leon90) using MCreator (https://mcreator.net/) and all custom models (if any) have been made with Cubik Studio (https://cubik.studio/). All ideas and designs are my own however some textures and models may have similarities if they are based on real world items, in which case every effort has been made to not infringe any copyrighted material. The mod will be updated over time to bring new content, fix issues and add enhancements, to stay to date please visit my official Twitter by clicking here. This is cool. Great work! I can see alot of use out of this mod for custom maps and packs such as zombie themed ones.